Esta planta suele estar a unos pocos metros mar adentro de las costas de casi todo Azeroth (excepto Rasganorte). Al ser una planta acuática, sale bastante a menudo cuando se pesca sobre un banco de peces. Vega de Tuercespina es el lugar donde más abundan, aunque mi lugar favorito son las costas orientales de Los Baldíos. I did some fishing off the Hillsbrad foothills town dock and picked up a few specimens of strangel kelp in watertight boxes. Just cast a line into the "fish hot spot" to get a pretty good rate of watertight boxes. The boxes also contained leather, wool, and rum. Also good rate of Blackmouth fish if interested. Basically go to any town near the ocean and swim around offshore for a few minutes, the stuff is everywhere. The Westfall coast also has a high respawn rate. There's also lots of Mageroyal nodes nearby, if you're farming Swiftthistle as well. I was able to sell a stack of these for 18g on AH. Fast to get and easy money. Used most frequently in underwater breathing potions. The whole of the plant can be eaten, but it is very salty, and rubbery when fresh. When used in cooking, it can be used either in powder form, or chopped. It can also be eaten raw. Stranglekelp is often very, very deep down and as such, a water breathing potion or spell may be advisable if you intend to gather it. Not quite true. It can be found on the beach above water in the Zoram Strand in Ashenvale, at least. It's almost always underwater, though. As far as underwater breathing goes, that is nice, and so is being able to swim quickly. The aquatic form available to druids is very nice. Sometimes there are bubbling fissures at deep depths, particularly if the is a quest in the area, that allow anyone to breathe underwater for a while. It's probably also worth noting that the levels of monsters you might encounter vary widely depending on the location. A good, low level spot to farm for this is from Ratchet, swim South along the coast and don't forget to do a circle around that little island off the coast called Fray island. Head down as far as Northwatch and back again. Mobs are around lvl 19 or so. Another very good place to find stranglekelp is around the shore of wetlands. Found more than what is on the map. If you like to farm this, you either have a potion drinking problem, aquatic form or tons of patience. Post shattering a good place to farm this seems to be the now flooded Thousand Needles. I never thought I'd say this, but the best place to farm Stranglekelp as of 4.0.1 is Thousand Needles. Such an amazing job with the maps and pins. I wish more herbs/ore locations were this documented! Nice job and thank you! The best place to farm Stranglekelp after the Shattering is hands down Darrowmere Lake in Western Plaguelands. There are literally DOZENS of spawn points in the lake and most within minimap tracking distance of one another. Takes a bit of swimming, but there are no enemies, no dangers and nothing else stopping anyone of any level from gathering as much Stranglekelp as they want. Well, except having to rise up for air, of course, though druids, shamans and warlocks will have an even easier time with that. First thing you want to do is pick up and complete the quest, "The Grimtotem are Coming" (Horde) (Alliance) from Kanati Greycloud as soon as you land. Then, Motega Firemane will give you the quest, "Two If By Boat". (Horde) (Alliance) This will swiftly take you to Fizzle and Pozzik's Speedbarge (Carbonite users can note the super fast speed in their map). WARNING! Do not right click the buff out of curiosity, it does indeed remove you from the boat! You will find Pozzik upstairs. Finally, complete Pozznik's quest, "Do Me a Favor?" 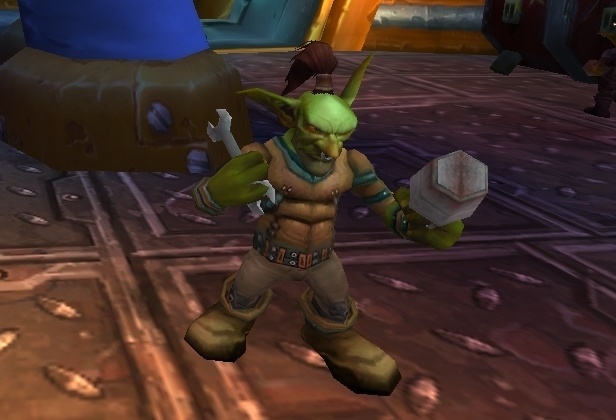 (Horde) (Alliance) and you will get a special buff "Speedbarge Diving Helm" that allows you to swim and run underwater anytime you are in Thousand Needles. Tip: Running on the ground, underwater is a LOT faster. +60% faster! Want more? Oh, Yes, there's more! If you do the follow up quests: "Down in the Deeps" (Horde) (Alliance), "Pirate Accuracy Increasing" (Horde) (Alliance), and "Circle the Wagons... er, Boats" (Horde) (Alliance) You will get your very own drivable River Boat! Fun fact: fishing these also counts towards the Bushels and Bushels guild achievent. As of the post date on this comment, I have been all over the Word of Warcraft searching for the best place to farm these and I have came to one place where I will defiantly call the best place to farm them and that is under water in Thousand Needles. I did a round in 30 min in Aquatic form and came up with 5 stacks. I went to Thousand Needles and decided to farm one thousand stranglekelps. It took me more than 2 hours walking on the water floor with a tauren paladin with guild perk. I felt my body bloated! It could be faster if I was a druid, but the faster gather from tauren helped a lot, there was no competition and no fights with mobs. From the 200 mills I got 618 normal pigments and 100 rare pigments. Thousand Needles is the place! Thousand Needles is the best place for Stranglekelp in the game. BUT, it's all underwater. This works in the entire zone! Walk along the bottom of Thousand Needles and herb your face off. stranglekelp is going for 20g each on my server. I remember when they used to go for only 1-2g.. The BEST place to farm this is in THOUSAND NEEDLES! It's a little slow (as a human warlock) to swim in the water but it's worth it. I got over 60, just going up one way. The easiest place to farm this is in Thousand Needles as some have said. To make it even easier, start the quest Vienen los Tótem Siniestro and keep going up until Abajo en las profundidades which will give you the Escafandra del Barcódromo - it allows you to breathe underwater, swim at 108% speed, and walk along the bottom of the water at 160% speed. This is a lot of Stranglekelp in Thousand Needles, around the Darkcloud Pinnacle, its underwater, there is plenty there to gather and upgrade your alchemy level! Is there anyone else who thought this was called strangekelp? I just figured out it is stranglekelp (after 5 years) lols. To add onto the comments regarding farming stranglekelp in Thousand Needles and being mounted (to reiterate, you will ride at 220% speed vs. 160% if you remain on foot), if you own a Gólem aéreo, you don't have to dismount to collect herbs. I think this is the fastest way to collect stranglekelp. The next fastest would probably be to be a druid in cat form or a shaman in ghost wolf form. I haven't tested this yet, but I'm guessing your speed would still be faster than 160%. I have a shaman herbalist, so I'll update when I try it. I just tested it out. For some reason, my shammy is only running at 200% mounted speed, but my hunter is at 220%. I'm not sure why that is, but I'm going to open a ticket. I will obviously be farming on my hunter, but if I had to use my shaman, it turns out ghost wolf form is faster at 208%. Also, in case anyone was wondering, being a hunter with aspect of the cheetah active has no effect on increasing your running speed. You will still run at 160%. I'll update this after I hear back about my ticket. For all druids gathering this herb out there! With the buff and everything in Thousand Needles, Travel form's speed is now at 254% while running on the bottom! Note that the map at the top of this page is the locations to fish the herb up. See Stranglekelp Object for Herbalism nodes. For what it is worth . . . I was just flying over the lake surrounding Scholomance (Darrowmere? Sorry, I don't remember for sure.). Surprisingly there were several nodes of Stranglekelp. In about five minutes I gathered two stacks of it. Hadn't seen it there before and was pleasantly surprised as I am leveling Alchemy, need that herb, and was rueing the fact that I had to go back to Stranglethorn Peninsula. I just did Thousand Needles, the canyon but not the lake, and in 25 minutes I got 89. One circuit. Best place to harvest this herb is definitely Thousand Needles. A good tip for non-druids to make travelling underwater much less of a hassle is to do the quest Abajo en las profundidades to get the buff Escafandra del Barcódromo. This will increase your underwater speed and also allow you to walk on the ground underwater in the zone allowing you to use your ground mount to run around very quickly to collect your Stranglekelp. Este objeto se puede pescar en El Cabo de Tuercespina (157), Los Humedales (123), Norte de la Vega de Tuercespina (112), Tanaris (77), Tierras de la Peste del Oeste (63), Costa Oscura (55), Los Baldíos del Norte (55), Montañas Crestagrana (46), Las Tierras Devastadas (45), Pantano de las Penas (42), Tierras de la Peste del Este (40), Feralas (29), Vallefresno (25), Las Mil Agujas (21), Páramos de Poniente (21), Tierras Altas de Arathi (21), Desolace (20), Laderas de Trabalomas (16), Bosque de Argénteos (15), Marjal Revolcafango (11), Sierra Espolón (11), Bosque del Ocaso (9), Tierras del Interior (9), Azshara (7), Claro de la Luna (7), Loch Modan (7), Caverna Santuario Serpiente, Cráter de Un'Goro (6) y Bajaluna.